Ashburn, Virginia in Loudoun County and 30 miles West of Washington, DC is a planned community that is most famous as the home to the Washington Redskins football team and quarters to the National Crash Analysis Center and the Old Dominion Brewing Company. Loudoun County is currently the fast growing county in the US and the most populous in Virginia. With several planned development projects in Loudoun, it is not surprising to know that there are numerous new constructions in the area. This is a wonderful opportunity for homebuyers and investors. Ashburn is conveniently located between Loudoun County Hospital and Washington Dulles International airport. The community showcases premier golf courses – Brambleton Golf Course and Belmont Country Club; high-tech corporations like major offices for Verizon Business, Janelia Farm Research Campus, Howard Hughes Medical Institute, Old Dominion Brewing Company and government contractor Telos. In 2009, AOL held its headquarters in Ashburn before moving to New York City. Up to this day however, AOL maintains its Ashburn workplace as satellite office. The Brambleton community, off the Dulles Toll Road opened in 2001. It is a master planned community located on 2,500 acres of land, sectored for commercial and residential uses. Brambleton’s overall lay-out designates for more than 8,000 residential properties, which includes an active adult community; a Town Center housing retail and office spaces; an additional 150,000 square feet of neighborhood retail, 20,000 square feet of commercial space, and 1,760,000 square feet of flex space or light industrial. 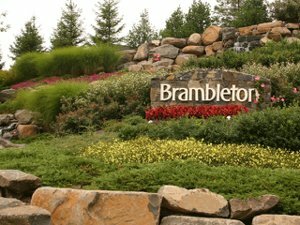 Brambleton also has two swimming pools, public trails, parks, sports courts, tot lots and ballfields. One of the major subdivisions that make up Belmont in Loudoun County. Belmont Country Club, a golf course community is located in the majestic rolling hills of Loudoun County and exudes a luxurious and elegant living. This gated community has amenities at par with world-class standards, complete with exercise facilities, golf course vistas, and picturesque views of the community. This country club exudes grace and high standard living as part of everyday life. The serene and exclusive living in Belmont Country Club begins at the gated entry to the neighborhood and winds past the scenic 10th green into the center of the community. The historic Belmont’s Manor House built in the 1970s is perched on the highest point in the area, a proud manifestation of the Manor’s House recognition as being listed on the National Register of Historic Places. This private subdivision also offers elegant single family homes, typical plantation architecture, and townhomes; unrivaled amenities, and a rich history any country club resident would be proud of. A housing subdivision located north of the Dulles Greenway. Ashburn Farm has almost 4,000 homes with 1,807 single family homes and the rest are a mixture of apartments, condominiums and townhomes. The community features amenities like 3 swimming pools, several trails and parks. Ashburn Farm is near the prime shopping districts in Loudoun – Dulles Town Center and Leesburg Corner Premium Outlets. Ashburn Village is a housing subdivision situated on over 1,500 acres of land in Ashburn, VA that opened for development in 1987. It has now grown to over 5,000 residential units and 15,000 residents since then and is continuously developing. The neighborhood has four recreation centers and four swimming pools, three of which are outdoor pools. The largest recreation center is the Ashburn Village Sports Pavilion, located in the center of the Ashburn community. It houses a full-size gymnasium, enclosed tennis courts, and weight rooms. One of Ashburn’s premiere master planned communities located in a scenic environment. Just minutes from Dulles International Airport, Broadlands is conveniently situated, especially for residents who are frequent travelers. This place also has easy access to Leesburg, Fairfax, Reston and Washington, D.C; close to routes 50, 28 and I-66 for easy commuting. The amenities are top-class with swimming pools, clubhouse for hosting events, a fitness center open 24 hours a day, as well as a 24-hour business center. Ashbrook - part of Northern Ashburn located between RT 7 and Ashburn Village. 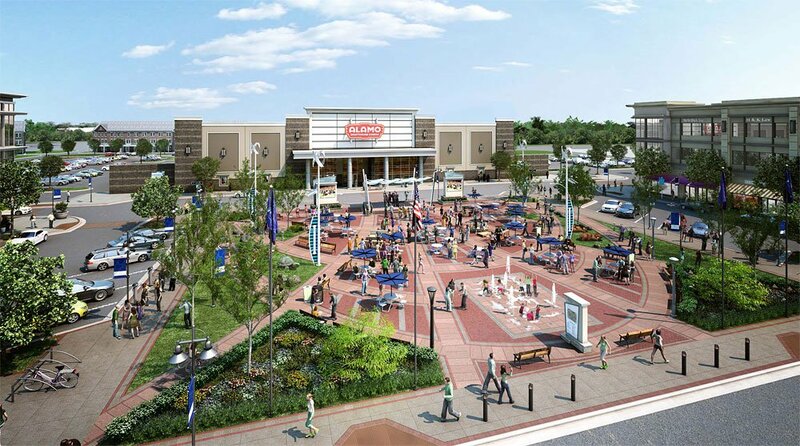 It is also going to neighbor the growing One Loudoun community of Ashburn and Loudoun County. It is comprised of a mix of townhomes, single family homes, and rental apartments. It is located next to commercial buildings and close to George Washington University making it a desired area for very easy commuting and access to jobs, as well as having very close conveniences to some places such as Lansdowne Country Club and Conference Resort, Loudoun Hospital, and day-to-day places such as Golds Gym and Harris Teeter. Ashburn’s elementary schools include Ashburn Elementary School, Belmont Station Elementary School, Cedar Lane Elementary School, Discovery Elementary School, Dominion Trail Elementary School, Hillside Elementary School, Legacy Elementary School, Creighton’s Corner Elementary, Mill Run Elementary School, Moorefield Station Elementary School, Newton-Lee Elementary School, Rosa Lee Carter Elementary School, Sanders Corner Elementary School, and Steuart W. Weller Elementary School. Ashburn’s public middle schools include Eagle Ridge Middle School, Farmwell Station Middle School, Stone Hill Middle School, and Trailside Middle School. Public high schools in Ashburn include Briar Woods High School, Broad Run High School, Stone Bridge High School and Rock Ridge High School. As for private schools, Ashburn is home to the following: Ideal Schools High School, St. Theresa Catholic School, Boyd School, County Christian School, and Virginia Academy. George Washington University and Strayer University for higher education have campuses in Ashburn. One Loudoun is an up and coming multi-million dollar sport, entertainment and residential new development designed to be Loudoun County’s downtown area. It features the Alamo Drafthouse Cinema – “the coolest movie theatre in the world” according to Wired.com and the Bam Amphitheatre in the heart of the One Loudoun community and Central Park. This theatre serves for an outstanding historic and natural setting for outdoor events and shows. Moreover, the Downtown Plaza is another amazing urban hang-out place in the community, highlighting a splash fountain and lots of high-tech games for the kids. One Loudoun is an ideal setting for businesses where the region and country’s premier corporate headquarters are located. The Edelman Financial Field will be built along with continued growth in restaurants and housing. One Loudoun development is designed on a 10-year growth plan adding to the attractions of Ashburn as a continuous flourishing locality in Virginia. It will be the central focus of the region with the World Trade Center Dulles Airport, over 3 million square feet of Class A office quarters, a luxury hotel ranked 4-star, and more than 700,000 square feet of retail areas.